Racer back with hook and zipper closure. Long band and padded cups for the best support. Perfect for all of your athletic needs. Medium support also provides light compression. Popular for it’s racer back, this bra is a pull-over style with no adjustments. Made from a cotton/lycra blend. Comes in a variety of colors subject to seasonal availability. Made from bathing suit type material, this is a popular sports style or swim bra. You can even wear under your swimsuit or with a wear-your-own-bra style swim top! Modern and sporty with moisture evaporating mesh on back and sides making it the ideal sports bra. Two rows of hooks and adjustable straps to make that perfect fit. 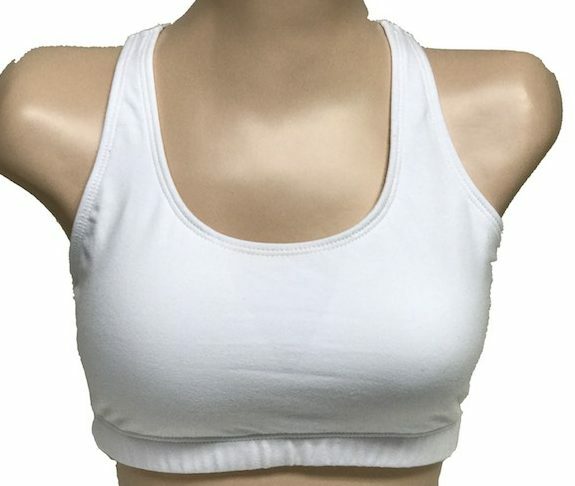 Round neck Sports Bra that offers exceptional support and a modern look during workout activities. COOLMAX® ACTIVE fabric helps to reduce perspiration. 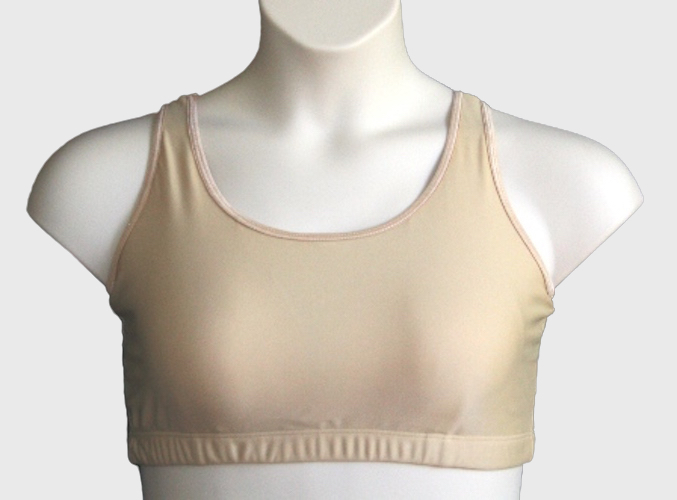 A medium control Sports Bra with mesh side & back panels for moisture control and adjustable strap for comfort.